the two black eagles, also a Württemberg emblem. The arms also incorporate a ducal crown. is also a HIPPISLEY emblem. 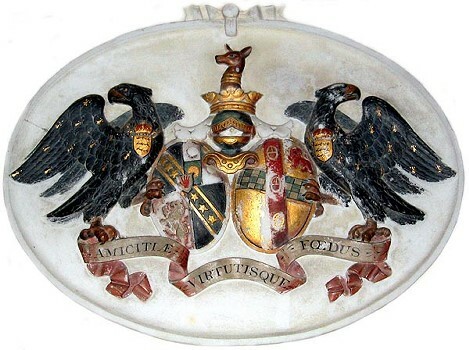 The shield on the right is that of the STUART family. The above image was kindly provided by David Nash Ford.